Want to be part of the regatta scene? 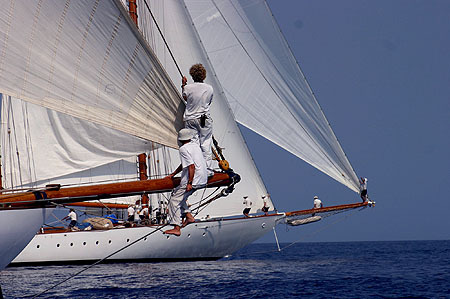 Would you like to race the "Copa del Rey" around Mallorca or would you like to win the "Antigua Classic Week" or take part in the "Maxi Rolex Cup" in Sardinia? No problem. We can arrange for you to participate for all these regattas. On a worldwide basis we can also organize Incentive trips for large groups or for small individual crews. Would you like to be live at the "Kiel Week" - one of the most important events of the worldwide Regatta Scene?